PlayerUnknown’s Battlegrounds is a PC and mobile First and Third Person Action-Adventure Survivor game developed by BlueHole. The game was released for Microsoft Windows via Steam's early access beta program in 2017. And also it was game released by Microsoft Studios for the Xbox One. In early 2018, it was localized and released by Tencent Games in China, while two mobile versions based on the game for Android and iOS were also released. The game is one of the best-selling of all time, with over fifty million sold across all platforms by June 2018. PUBG is currently among the most played games on Android and PC. PUBG PC require higher system specifications and only allow Stream users to play. Since for PC, PUBG isn’t free, you have to pay for playing it on Console (Xbox) and on PC. And these days PUBG mobile is more popular because of it’s freemium feature which allow players to play game for free and pay for game assets that you buy from their store. This feature of PUBG mobile allows more user interaction and more people play this game than on PC and on console. But most players don’t prefer to play PUBG on mobile because of controls which seems to be difficult while playing it on mobile, so for PC Players we have emulator which run PUBG mobile as never before on any emulator. Why not to Play PUBG on Mobile? PUBG mobile is widely played across 5 servers, Asia, North America, South America, Europe and KRJP. 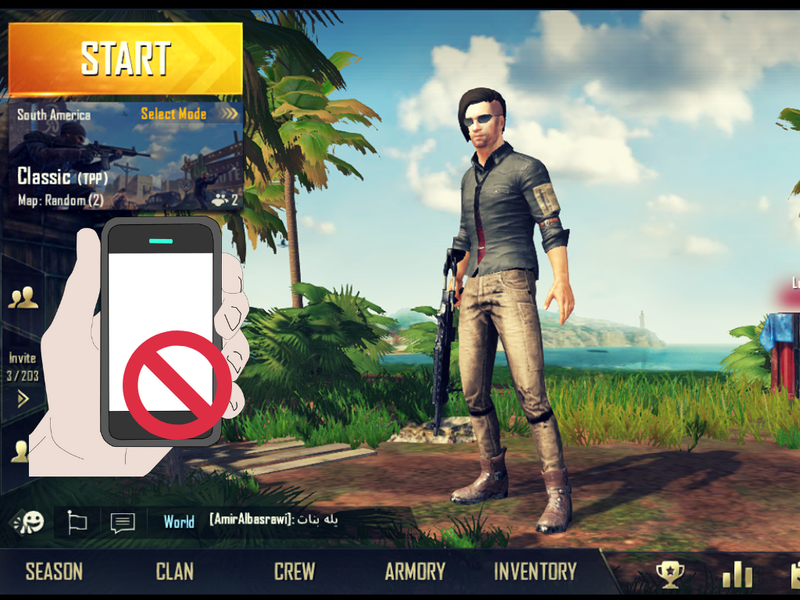 While playing PUBG game on android or ios there are multiple reasons which let players to compromise with the chicken dinner which they achieve in the game. Here are the reasons, one must not play PUBG on android or iOS. The game controls in the PUBG mobile are really difficult as we have to tap for firing and aim the pointer. Moving and firing are the actions which cannot be performed simultaneously. It is very difficult to perform aimed movement which pro players do to win the match. While playing PUBG on mobile, most of the mid range phones gets heated and lagged. The device ultimately starts loose it’s battery faster. When PUBG is downloaded over android or iOS it is around 1.5 to 2 GB but when you start playing it, its size over disk gradually increases which may be a problem for lots of mobile with less storage space. Since, mobile devices are made to store less but when PUBG acquire over 5 GB size on your mobile then you must give a thought over it. Since the popularization of PUBG over mobile, it is widely played over mobile devices and requires a lot of skills to play. This multiplayer game can be run on your PC by emulator. Since most of the emulators don’t provide that easy game environment for PC as this emulator does. Tencent Gaming Buddy is the one which you were searching for, the one emulator which does all work for you, never let you to experience those bad controls which appear on your screen and every time you have to tap on screen of your PC. Gaming buddy let’s you to play your game with the famous PC controls W, A, S, D and your mouse becomes the aiming master key. 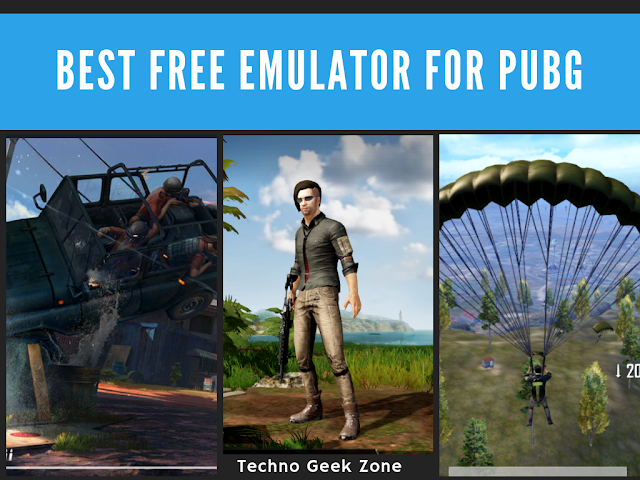 It won’t let you feel that you are playing PUBG on an emulator. It only requires very little specs for you to play your favorite game on PC. CPU: A 1.8 GHz CPU, recommended Dual Core. Graphics Card: NVIDIA GeForce 8600/9600GT or ATI/AMD Radeon HD2600/3600. The basic system requirements that are required to install Tencent’s Gaming Buddy are not so high and almost all computers now a days are coming up to this mark. 1.BOSS KEY – This feature allow you to quickly hide your emulator. 2.Rendering Options – Tencent’s gaming buddy allows you to select rendering options like OpenGL, DirectX, OpenGL+, DirectX+ and the Smart Mode which automatically selects the most appropriate rendering option for your PC. You can select Rendering Cache, Anti-Aliasing, Memory, Number of Processors to use and the DPI (Density per inch). 3.Gaming Resolution – Let’s you to select the resolution for your PC that is 720p, 1080p or UHD.